However, when you sell your car to Atlantic Auto Buyers, the process couldn’t be any easier for you. We pride ourselves on removing the hassle, confusion, and inconvenience from the car selling process. We offer cash for cars in the simplest, easiest way possible. First, we’ll run on your schedule. Our services are available seven days a week, so you don’t have to change your schedule to accommodate us. There’s no lost work. You don’t have to try to squeeze this in among your other errands. Whatever time suits you best, that’s when we’ll be there. That’s the other really easy part. We’ll come to you. Usually, you have to drive your car to the buyer. That means you need to ask someone else to come with you so you have a ride back home in case you actually sell the car. You might not sell it then, which makes the whole process even more inconvenient. 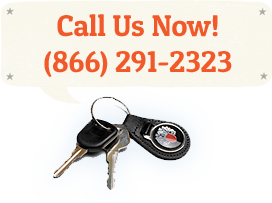 With us, trained, reliable Atlantic Auto Buyers staff will come to you, wherever you have the car. Even better, we’ll tow away your car for free. Selling your car to us couldn’t be easier. Finally, we move fast. We won’t string you along and hold up your opportunities to sell your car. If we want it, we’ll typically buy your car within 24 hours of seeing it. You get your cash and resolution quickly. Another unfortunate by-product of some people’s eagerness to sell is that unscrupulous buyers may try to take advantage. In contrast, our staff at Atlantic Auto Buyers are highly trained, experienced, and professional. From the moment you call our office to arrange for one of our staff to come see your car, you’ll notice our quality customer service and responsible style. When our buyer does come to you, you’ll see the same approach. You’ll be treated fairly, honestly, and with courtesy. We know safety can also be a concern for some people. We take care with our staff to ensure you always have a comfortable and secure meeting with them. We buy cars regardless of whether they’re actually running. No matter what the condition of your car currently is, we make the process of selling it simple so you can get cash in hand quickly. Free tow of your old car. We’ll come to you to assess your car, any day, seven days a week. Quick sale – We’ll typically make a purchase within 24 hours. Don’t delay. Call us today.